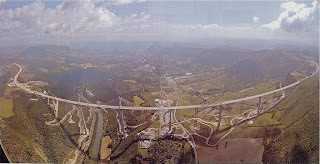 The Millau Viaduct looks, in certain pictures, like a trick of photoshop- surely no real bridge could span a valley that big? 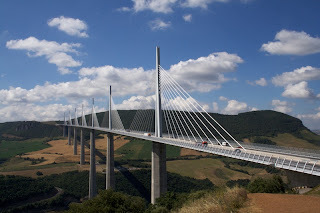 However, it is a real structure located near Millau in southern France which carries the A75 from Paris to Montpellier/Barcelona- an eight lane steel roadway on a cable span bridge. This is the world's tallest bridge, and is not too shabby in the length department- nearly 2.5km, which while nowhere near the longest, is certainly longer than your average bridge! 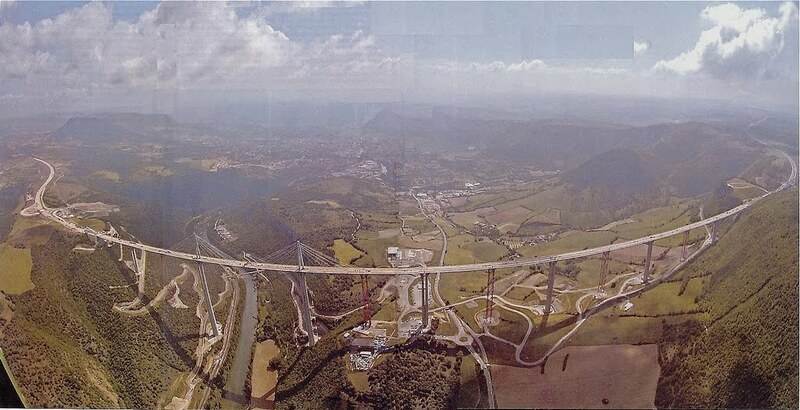 The curved design is intended to lessen the feeling of floating that a straight bridge may have caused- one can imagine that with nothing but air on either side straight ahead it would have been a frightening experience to drive across it. There is also a slope of 3 degrees to improve road visibility. Would you drive across it? 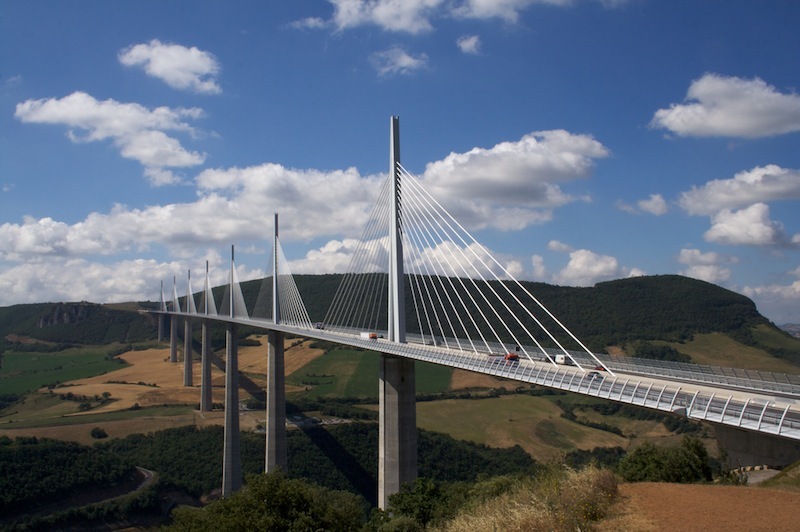 Such a tall bridge may be daunting, but the views of the Tarn River valley and nearby town of Millau would be worth it! Want to give it a go? For France motorhome rental, click here! France: Where to Pick Up Your Camping-Car? New Zealand: Where To Pick Up Your Rental? Australia: Where to Start Your Motorhome Holiday? Where not to take your Campervan Rental! RV or Resort? You'd Be Surprised.